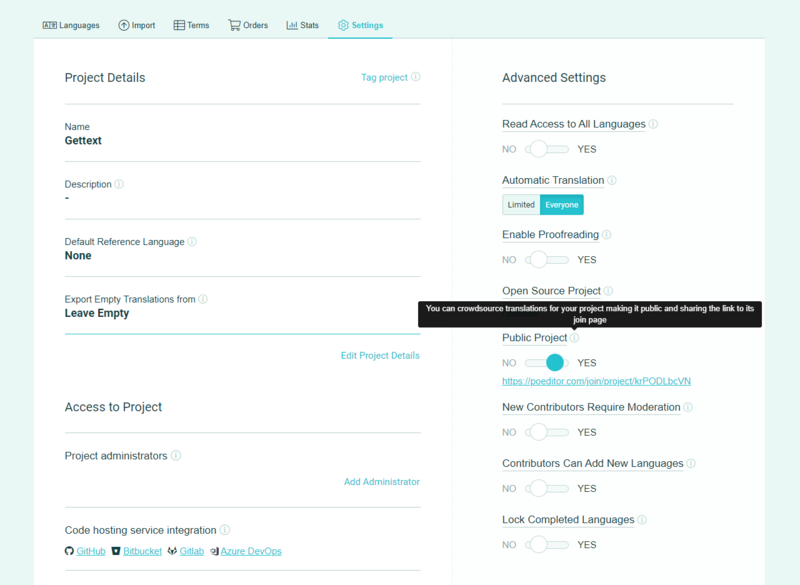 If you haven't already created a software localization project, go to your account's Dashboard and click on Add a new project. Using the Add language button in the Project Page, add whatever languages you want to have your software localized in. In the Project Page, click on Import terms in the side menu, to bring the strings to be translated to the localization project. If your localization file contains labels, you should also import the translations, in order to set a Default Reference Language. Go to the Project Page and click on Project Settings in the side menu. In Advanced Settings, set Public Project to Yes. Three more options regarding the public project will appear - set these as you wish. 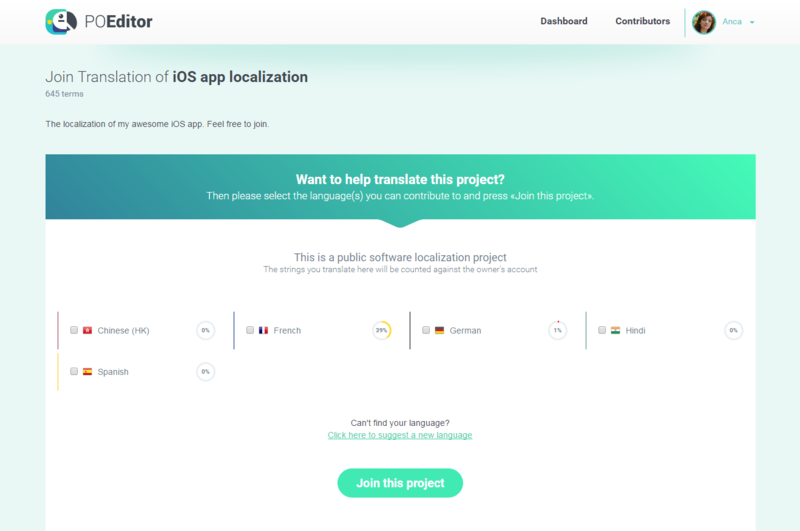 Share the link generated for the software localization project (which you can always find at the bottom of the Project Page) on your website, forum, social media pages, or wherever you see fit. Accessing it, people will be able to join the project's translation team.